Paul Manafort agrees to cooperate with special counsel's investigation of Russian interference in the 2016 presidential election. Former Trump campaign chairman Paul Manafort on Friday agreed to cooperate with the Justice Department, including in special counsel Robert Mueller's investigation of Russian interference in the 2016 presidential election, CNN reports. Prosecutor Andrew Weissmann told the judge that Manafort's plea agreement is a "cooperation agreement," and other charges will be dropped at sentencing at "or at the agreement of successful cooperation." On Thursday it was reported that Manafort had tentatively agreed to a plea deal with special counsel Robert Mueller that will head off his upcoming trial. The scope of the cooperation was not immediately clear. President Donald Trump is not mentioned in Friday's filing, nor is Manafort's role in his campaign. Manafort was found guilty in late August of eight charges of bank and tax fraud. The jury found Manafort guilty on five charges of filing false income tax returns, one count of failing to report foreign bank accounts and two counts of bank fraud. A mistrial was declared on the remaining 10 counts — three counts of failing to report foreign bank accounts, five counts of bank fraud conspiracy and two counts of bank fraud – after the jury could not come to a decision on those. 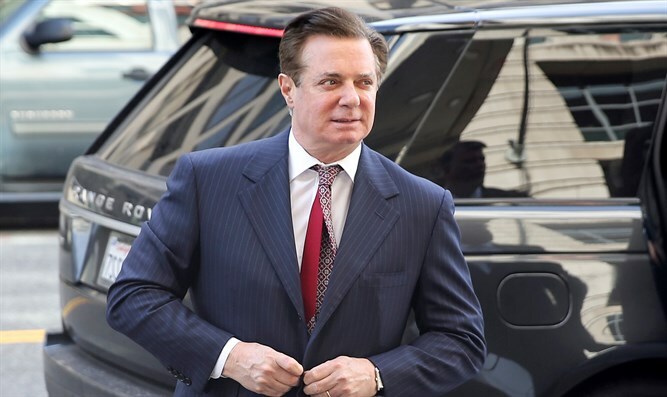 Manafort faces a second trial in the US District Court for the District of Columbia on separate charges that include conspiracy, money laundering and making false and misleading as a foreign lobbyist in violation of the Foreign Agents Registration Act. He surrendered himself to FBI agents last October after being charged with 12 counts, including conspiracy against the US. The indictment also included his former business associate, Richard Gates. His appointment came after Attorney General Jeff Sessions recused himself from any involvement in the Russia investigation due to his role as a prominent campaign adviser and surrogate. In recent days, as the Manafort plea talks were ongoing, the President's legal team expressed confidence that if Manafort signed a cooperation agreement it wouldn't have anything to do with the President, according to a source briefed on their thinking. "Once again an investigation has concluded with a plea having nothing to do with President Trump or the Trump campaign. The reason: the President did nothing wrong," said Giuliani, according to CNN.